Graham has an honours degree in Architecture, is Horticulturally trained at RHS Wisley in Surrey, near to where he grew up attending informal courses. His ancestor, John Stewart, was a gardener for Lord Palmerston at his Broadlands estate in Hampshire. Graham has a wealth of experience, is fully hands-on in your garden, tweaking the design each day during construction to get the very best garden for his valued clients, and mainly employs two experienced landscapers. earth architecture designs and constructs gardens that last the test of time. Graham has designed, built and restored hundreds of gardens and also designed and restored gardens in France, Ibiza and The Algarve. 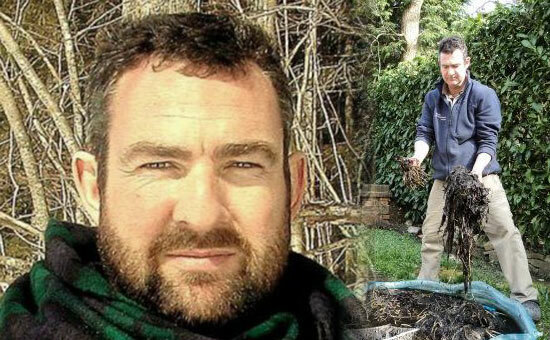 Graham has appeared as a garden expert for CH4 TV 'The Property Ladder'. This professional, personal and bespoke service is unique and has a great advantage over many, if not all competitors, small or large. The philosophy of earth architecture is to give more than the client can imagine. The majority of earth architecture's work comes through recommendation. Keeping prices low and competitive and giving the very best value helps earth architecture survive. We always give more than the client expects and this upholds our good name and good reputation. "Mr. Swain planned the projects carefully, discussing them fully with me. He also provided realistically priced materials and carried out the work properly, to my specification and on time." Mrs. Burke, Camberley.